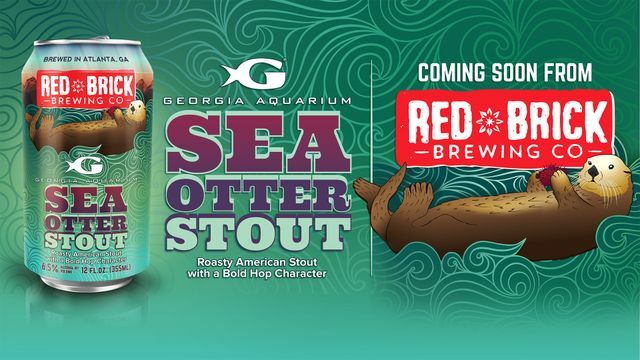 ATLANTA (November 14, 2017) – Just in time for winter, beer lovers can cuddle up with the newest release from Georgia Aquarium and Red Brick Brewing Co. Sea Otter Stout will hit select shelves throughout Atlanta the week of Dec. 4. The special-edition winter brew marks the third seasonal release this year from Georgia Aquarium and Red Brick Brewing Co.
A roasty American stout that offers a bold hop character from Centennial and Chinook hop varieties and an ABV of 6.5%, the brew’s flavor profile and release date make it the perfect holiday beverage for Atlantans to support a local non-profit with a global mission. Proceeds from sales of Sea Otter Stout will support one of the aquarium’s most beloved animals - the Southern sea otter. Sea otters are currently “Endangered” on the International Union for Conservation of Nature (IUCN) Red List and face threats such as entanglement in fishing equipment, oil spills and shark predation. Georgia Aquarium and Red Brick share a commitment to sustainability and conservation. 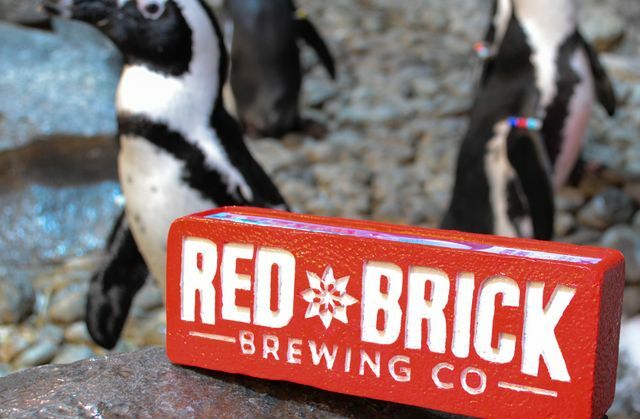 Red Brick aims to be a leader in the U.S. craft beer industry as an environmentally-responsible brewery with eco-friendly initiatives including biodegradable can connectors and a shift from bottles to more often recycled Aluminum cans. The two entities formalized a partnership through summer 2018 and consecutive releases are scheduled for spring and the return of Whale Shark Wheat next summer. “Supporting our community is one of the things that is most important to us as a company, and being able to do that with such a great group, while also raising money that will support wildlife across the world is something we are really proud of,” said Red Brick President Garett Lockhart. “The last two beers we released have been very popular and we only hope to see more success with Sea Otter Stout and our 2018 collaboration releases with Georgia Aquarium”. 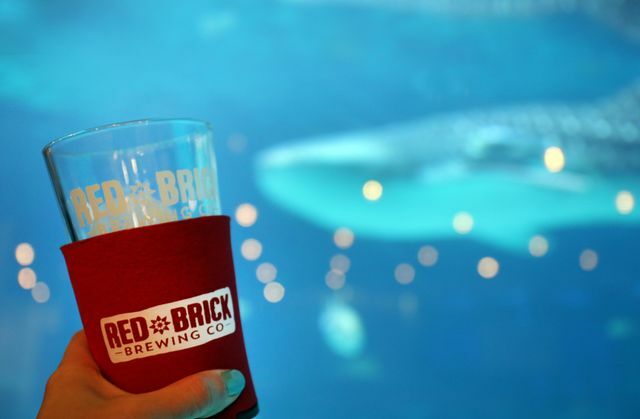 Founded in 1993, Red Brick began their brewing odyssey at a small building in downtown Atlanta. They have established a 20-year tradition of producing fresh, interesting, and delicious brews for your drinking pleasure. They pride themselves on crafting a variety of year-round and seasonal offerings, including their exclusive Brick Mason series. Georgia Aquarium is a leading 501(c)(3) non-profit organization located in Atlanta, Ga. that is Certified Humane by the American Humane Association and accredited by the Alliance of Marine Mammal Parks and Aquariums and the Association of Zoos and Aquariums. Georgia Aquarium is committed to working on behalf of all marine life through education, preservation, exceptional animal care, and research across the globe. Georgia Aquarium continues its mission each day to inspire, educate, and entertain its millions of guests about the aquatic biodiversity throughout the world through its hundreds of exhibits and tens of thousands of animals across its seven major galleries.